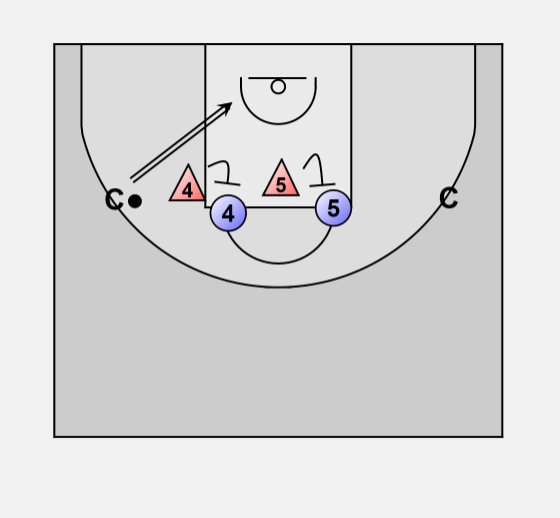 Posts start in high post position with defense and 2 coaches / players on the wings as passers. 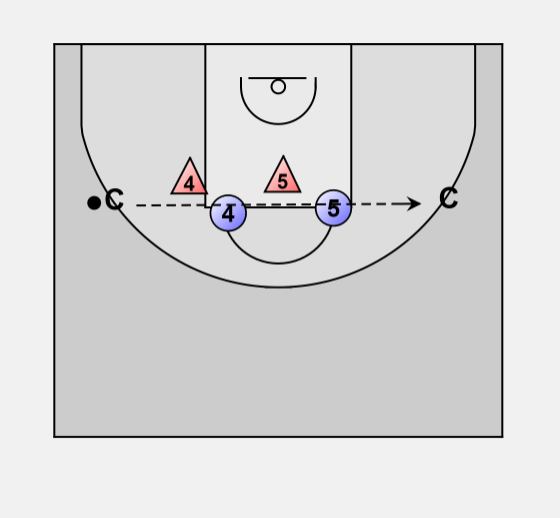 The 2 defensive players must play on their player and adjust / react to the ball movement. If the shot is taken they must box out their player and rebound. If defense rebound, they outlet pass to coach and go again. If offense rebounds, play to score. Drill can also be done with posts in the low position.